PDP 886, (250/pkg), 886 E Compatible Testing Forms (250 Sheet Pack) by Precision Data Products at Andy Pemberton. MPN: PDP 886-100. Hurry! Limited time offer. Offer valid only while supplies last. 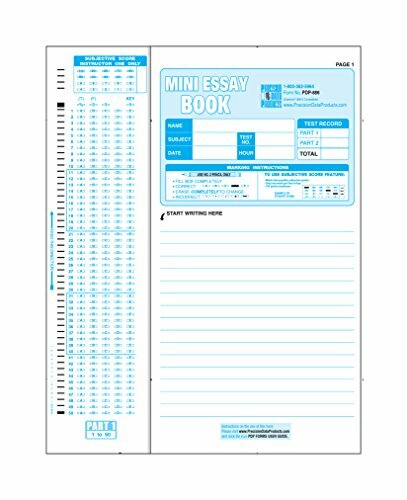 ScantronTM Compatible Form 886 mini test form book. Dimensions: 8.5''x11'' Visual Alignment notch allows for easy alignment of many papers at once.